Start the countdown by pressing one of the nine timer buttons. Reset it if you don’t need it anymore. Press'n'hold the button to change its timer duration. It's primarily used for timing rest periods during a strength training workout. Let your phone notify you when it's time to start the next set or exercise. What makes this app better than the others? 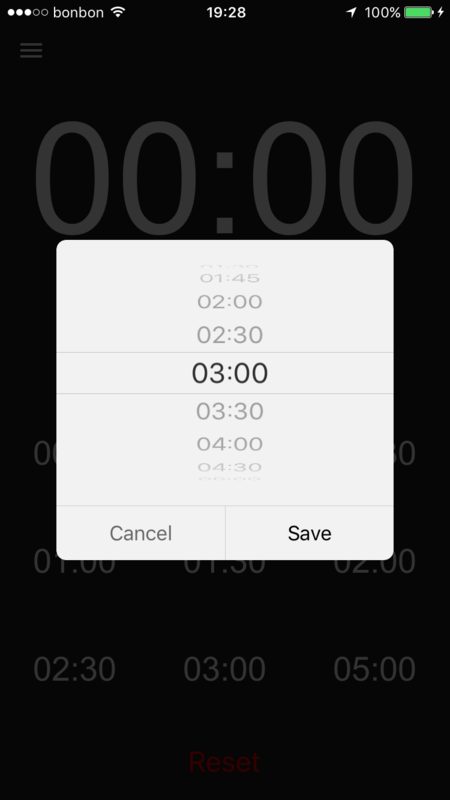 The app recalculates the remaining time and keeps the time that already passed. Sometimes there is just not enough energy in the tank and you need an extra minute to rest. Saves battery. Works in the background and with the screen locked. A gentle sound warning signals you to start preparing for the next set. Another more distinct sound follows when the time is up. Uses carefully selected custom sounds that play nice with your workout music. Noticeable enough not to miss them, but still easy on your ears. or a clock at all. iOS notification appears when the time is up. 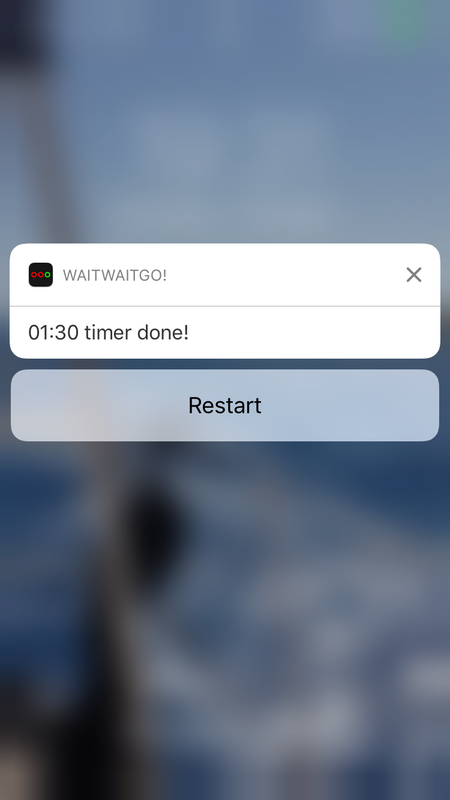 When you’re done with the set, you can restart the timer from the notification without unlocking the screen! No need to think about how long your rest time is after each set. 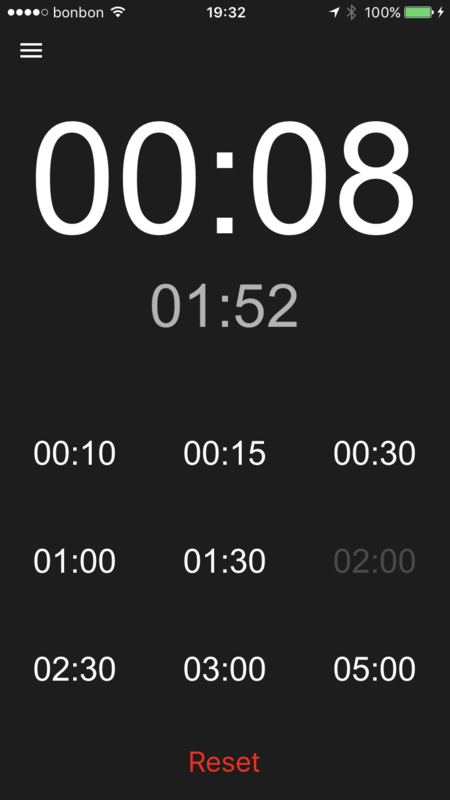 Still, did we really need another timer app? 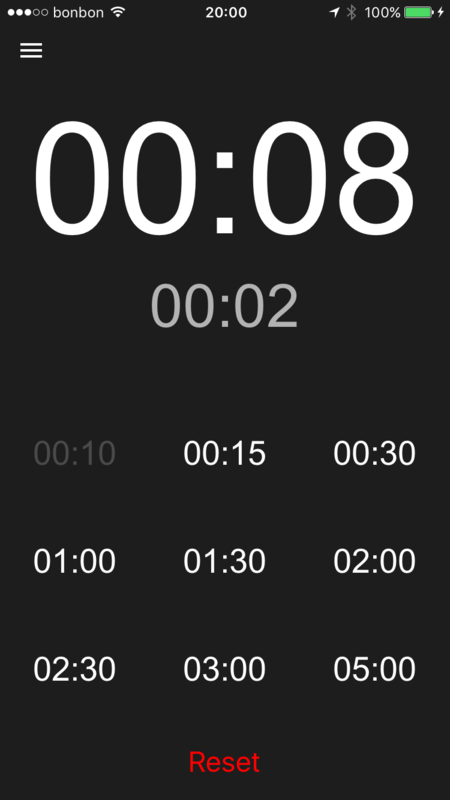 Before making WaitWaitGo!, I downloaded and tried 12 different timer apps. And each one of them was missing something from the list of features above. WaitWaitGo! requires as little attention as possible during my workout and it helps me focus on my rest. I hope that it will do the same for you! Try it out, it's completely FREE! WaitWaitGo! makes my workouts better almost daily. Since I use it so much, I have some ideas how to improve it, but I’d also love to hear your feedback! If you have any ideas how to make it better, please send me your suggestions on Facebook, Instagram, or Twitter.